TCPA has formed a research/working group on Small state studies. The initiative aims to increase research and education in the field of Small state studies. The primary focus of the Small state studies concerns with particular challenges and constraints that small states face in all areas of public, political and international areas. The application of Small state studies framework to Armenian context is important for understanding various challenges and problems of the state and discussing possible solutions. The study of the Republic of Armenia through the prism of small state theory can be a major value-added to Armenian studies, because small state theory touches upon a range of topics in the fields of International Relations, Political Science, Diaspora Studies, Economics, Public Administration, Law, Information and Technology. Despite its relevance and importance for Armenia’s development, the Small state study has so far not received enough attention in the Armenian academic discourse. Our initiative aims to fill the gap. For more details see here. TCPA Assistant Director and PSIA Assistant Professor Yevgenya Jenny Paturyan publishes a chapter on Armenia in a book by Routledge on political risks and business environment in the Black Sea region. The chapter is co-authored by a US-based scholar Prof. Christoph Stefes. The recently published volume is a collection of chapters and case studies from Black Sea region countries, aimed at exploring the business environment, different from the OECD area. State capture by non-state actors, institutional ambiguity, informality, favoritism, and corruption distort the economic playing field, impacting business activities. The information about the book is available here. TCPA team has completed its study on Civic Activism in Armenia. The manuscript is a product of a two-year research conducted in Armenia, supported by the Academic Swiss Caucasus Net. Focusing on the relationship patterns of non-formal (civic activists) and formal (NGOs) civil society actors, the study addresses both cooperation and tensions between the ‘old’ NGO sector and the ‘new’ civic activism elements of the Armenian civil society. 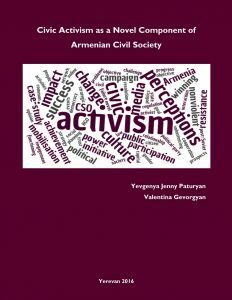 Based on research methods including primary and secondary data analysis and case-studies of recent and largest civic activist campaigns, the study discusses the new internal dynamics and the impact of civic activism on the political culture of Armenia. The final manuscript of the study is available here. “Why Volunteer? 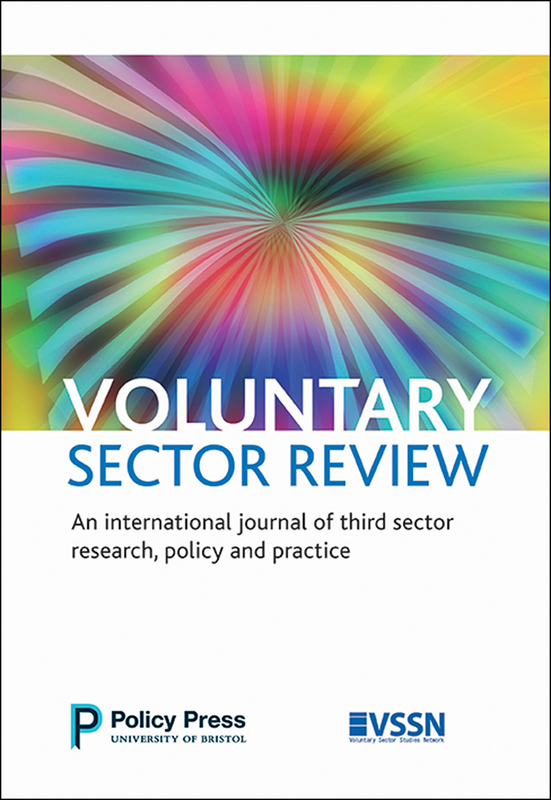 Understanding Armenia’s Experience” article has been published in the Voluntary Sector Review Journal of third sector research. 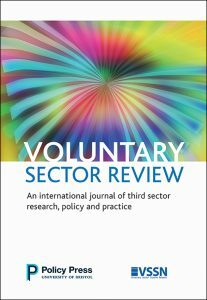 The article discusses findings that explored motivations of volunteers, and highlights the importance for the volunteer-involving organizations to reshape their activities, by refocusing from low-level volunteer work to educational tasks aiming to empower volunteers professionally. The article is authored by TCPA Research Associate Valentina Gevorgyan and AUA PSIA Alumna Mariam Galstyan. The information about the article is available here. 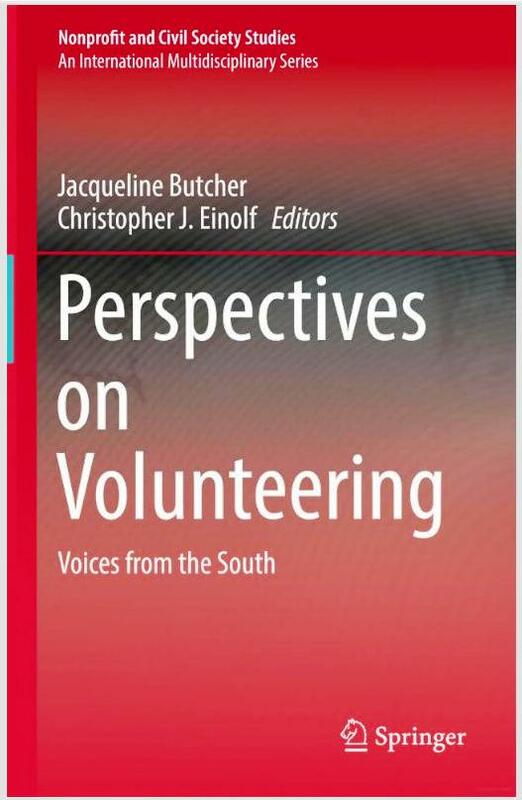 TCPA team chapter on Volunteering in Armenia has been published in a new book entitled “Perspectives on Volunteering Voices from the South”, a newly released book, published by Springer. 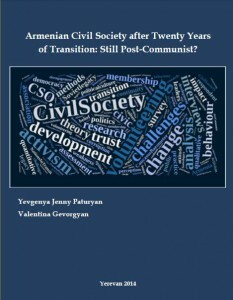 TCPA team chapter entitled “Volunteering in Armenia: Leaving the Soviet Legacy Behind?” presents Armenia’s experience, and is written based on some of the results of a 2-year study of Armenian civil society. The chapter explores the patterns and realities of volunteering in Armenia, focusing on generational change and on motivations to volunteer. The book chapter is co-authored by TCPA Assistant Director Jenny Paturyan and TCPA Research Associate Valentina Gevorgyan. 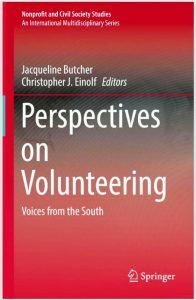 This is the first book to look at the volunteering experience in the global South, including countries from Africa and South America, as well as Mexico, Turkey and China. A new study report has been released by the European Commission on Public Administration Reform in the Eastern Partnership (EaP) countries. The study has been implemented by a team of researchers composed of international and national experts representing EaP countries. TCPA Research Associate Valentina Gevorgyan has served as a national expert from Armenia. The study report is available here. In partnership with Swedish Geological Company and AUA’s Center for Responsible Mining, TCPA is going to contribute to the World Bank-supported Armenian Strategic Mining Sector Sustainability Assessment. TCPA will analyze the role of civil society in regard to mining in Armenia. Project starts in October 2015, results expected end of 2015. TCPA Assistant Director Jenny Paturyan was invited to be a special editor of the most recent Caucasus Analytical Digest issue on Civil Society. She wrote an article on Armenia “Armenian Civil Society: It is Not All about NGOs” and coordinated articles on Azerbaijan and Georgia. The issue of the journal is available here. TCPA academic project on Armenian civil society was presented at the PSIA Seminar by Valentina Gevorgyan, Senior Researcher of the recently completed study. The talk was live-streamed by CivilNet and is available here. The news coverage of the story is available here. TCPA ranks the 19th in the Top Think Tanks in Central Asia according to the 2014 Global Go To Think Tank Index Report provided by the Lauder Institute at the University of Pennsylvania. The Institute is a home to a comprehensive database of over 6,500 think tanks worldwide. The report is prepared in the framework of the Think Tanks & Civil Societies Program and presents global think tanks ranking by regions, areas of research and special achievements. The report can be accessed here. TCPA has completed its study “Armenian Civil Society after Twenty Years of Transition: Still Post-Communist?” funded by the Academic Swiss Caucasus Net (ASCN). The study was conducted from 2012 to 2014 and is based on secondary data analysis and application of quantitative and qualitative methods: an organizational survey and semi-structured interviews. This study has resulted in two papers in peer-reviewed publications and five conference presentations. The final manuscript of the study is available here. TCPA paper “Is ‘Googling’ a technique? What the internet can tell us about the Non-Governmental Sector in Armenia” has been published in the Haigazian Armenological Review Journal of the Haigazian University Press. The paper discusses the method used to map the online visibility of Armenian NGOs. The manuscript is authored by TCPA Assistant Director Jenny Paturyan, Research Associate Valentina Gevorgyan and team member Mariam Matevosyan. The paper can be accessed here. TCPA has been selected by the Academic Swiss Caucasus Net (ASCN) Scientific Board as one of the six regional teams out of 36 to start a Novel project on the Armenian Civil Society in October 2014 that will build on the ongoing study. For more information about ASCN visit here. TCPA paper “Trust toward NGOs and volunteering in South Caucasus: civil society moving away from post-communism?” has been published in the Southeast European and Black Sea Studies Journal. The paper compares, discusses and highlights differences between the civil societies of the three South Caucasus countries. The manuscript is authored by TCPA Assistant Director Jenny Paturyan and Research Associate Valentina Gevorgyan, available here. In September 2013, AUA and TCPA provided a capacity building training for the staff members of the National Assembly of Armenia in the framework of the USAID’s Support to the Armenian National Assembly Program (SANAP) in cooperation with Tetra Tech and OSCE. In April-June, 2013 TCPA implemented a study on “Estimation of Direct and Indirect Costs and Benefits Related to Consolidation of Communities of the Republic of Armenia” in cooperation with Counterpart International Armenia. Copyright © Turpanjian Center for Policy Analysis.